Ottawa is perceived as the safest city in the country, according to a poll asking Canadians to rank 15 urban centres from what they thought the safest down to the most dangerous. Ottawa is perceived as the safest city in the country, according to a new national poll. Just over 2,000 Canadians were asked to rank 15 major Canadian cities from which they thought was the safest to the most dangerous. The poll, conducted by Mainstreet Research, placed Ottawa at the top for the second year in a row, with 75 per cent of Canadians believing the capital is safe. "National news about Ottawa can sometimes be bad news, but it is rarely about crime or violent crime," Quito Maggi, president of Mainstreet Research, said in the report. "[The presence of] popular government ﬁgures likely also adds to the perceived safety of the City of Ottawa." According to the report, however, violent crime in the city actually rose five per cent last year, and the Crime Severity Index — which tracks trends in crimes — increased by 10 per cent. Despite those increases, Ottawa has the fourth lowest crime rate of all major Canadian cities. The report also states that cities which house a provincial legislature generally are perceived to be more safe than other urban centres in the same province — but in Ontario, Ottawa bucks that trend because it's home to the House of Commons..
Toronto, in comparison, was considered the 14th safest city in the country. 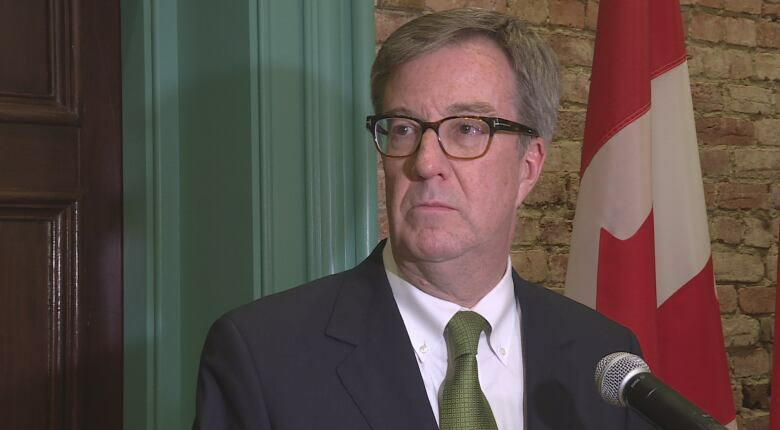 Though more Canadians are perceiving Ottawa as safe, Mayor Jim Watson said there is still work to be done. "It's good news because it reflects what I see and hear every day and what others see, that we are a very safe city," he said Wednesday. "Notwithstanding that, if someone sees gunshots on their street, they don't feel that way," Watson added. "The perception is quite positive, but I'm not going to rest on my laurels. We still have challenges and that's why we've hired additional police officers." Some of the other cities included in the poll were Vancouver, Montreal, Halifax and Calgary. Winnipeg was perceived as the least safe city in Canada.